Our bodies are always working, day in and day out. Even while we sleep, our bodies are constantly taking in information about our environment and process these inputs to provide an appropriate response. From the temperature of the air to atmospheric noise, our brains are always on the go. Our ability to process and respond to information provided to us from our environment is important to allow us to live in an integrated and comfortable way with our surroundings. But what happens when our bodies process our environments more or less than others? In cases where these differences cause difficulty in our ability to interact with the environment comfortably, we may have a case of SPD, or sensory processing disorder. Do I Have Sensory Processing Disorder? To be clear, not all sensory dislikes warrant a diagnosis of SPD. Since each person is unique in their likes or dislikes, it is common for us to avoid things that cause us sensory discomfort. For example, many of us require more warm layers of clothing in order to feel sufficiently warm than others. Some of us may enjoy the slippery texture of a noodle, while others may avoid this slippery sensation. These sensory preferences do not necessary mean that we have difficulty processing sensory input. Knowing our preferences, however, provides us with more opportunities to limit the discomfort that these inputs can cause. In sensory processing disorder, our brain and nervous system is not able to integrate the multiple stimulus that accompanies our environments. For example, it may be difficult to attend to instructions because background noises, like a fan, may cause discomfort. While many will be able to tune out the noise of the fan in order to attend to instruction, these multiple inputs may cause irritation in a person with SPD. Sensory processing disorder causes significant distress or discomfort for those affected and cannot be characterized as simply being preference-based responses. Sensory processing disorder often presents as being either over/hyper-responsive, or under/hypo-responsive. While a person with an over-responsive SPD profile may reject textures such as those present in different kinds of food or clothing material, other people with an under-responsive profile may not want to wear warm clothes outside at all – since their sensory system is not ‘feeling’ cold in the same way as others. Hypo-responsive people may also seek sensory input by touching many objects in their environment or making noises or repetitive movement to self-soothe. Sensory processing disorder often presents alongside other diagnoses such as autism spectrum disorder, attention deficit hyperactivity disorder (ADHD) or anxiety and behaviour challenges. Patients with SPD may find the dental environment overwhelming due to its various environmental inputs. Bright fluorescent lights, noisy dental tools and other sensory inputs such as the noise of other dental procedures and unfamiliar smells can make SPD patients uncomfortable in the dental environment. Luckily, there are many accommodations which may be offered in order to provide the best possible experience for our SPD clients. A dental team that understands the sensory profile of their patient is better positioned to draw on their resources in order to offer comfort and reassurance with their patient. 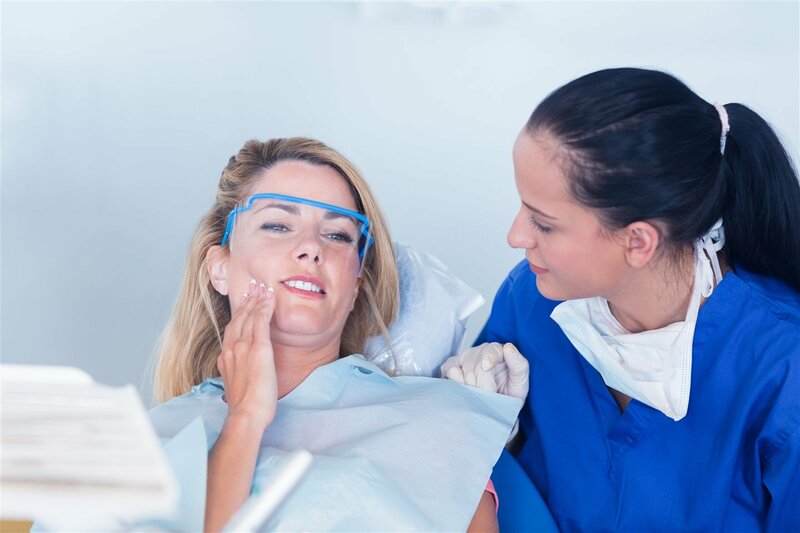 Working directly with a patient, or in cooperation with their primary caregivers, dentists learn what will work best to increase the likelihood of a productive visit. While we make an effort to decrease bright lights in the dental space, it can be difficult to fully eliminate this sensory trigger, since light is required in order for the dental staff to have a clear line of sight into the patient’s mouth. For this reason, we encourage our patients to use coloured glasses or sunglasses to minimize the sensory input of the overhead lights. Similarly, clients who dislike the sounds present during an exam or procedure can greatly benefit from headphones. We encourage our noise-sensitive patients to create a playlist of comforting songs, or to listen to one of their favourite online videos to offer a gentle distraction from the noises that are causing them discomfort. It can be difficult for some of our patients to remain still during an exam or procedure if they are sensory-seeking. We encourage these patients to try using a weighted blanket during their time in the dental chair. This can serve as comfort for patients who feel vulnerable leaning back in a dental chair. If a weighted blanket is not available, we often offer a weighted X-ray vest to provide a similar comforting experience. Patients who have a favourite stuffy, toy or fidget object may bring their comfort item along with them on their way to the dentist. Finally, gentle and consistent communication is offered to our SPD clients. These gentle communication strategies empower the patient to be able to anticipate what the dentist is doing, and to build trust. 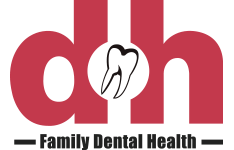 Wherever possible, we engage our SPD clients in what we are doing by having them hold dental tools, mirrors or other dental objects in order to demystify the tools and build the patient’s confidence in allowing them to be utilized.